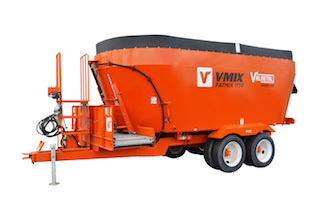 Heavy duty four auger mixers. Large diameter augers with thick flighting and auger tube. Planetary gear reduction with chain and sprockets driving the augers. Rear oil bath compartment lets all chain and sprockets run in oil. 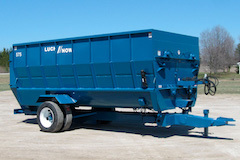 Models are available in trailer, stationary and truck mount versions. 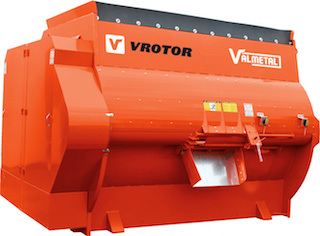 Capacity 150 to 900 cu. 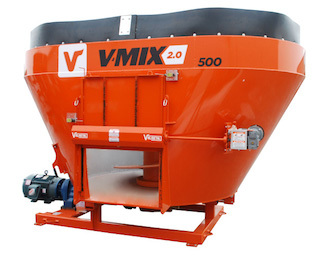 ft.
A durable and rugged mixer feeder with a single vertical mixing screw. 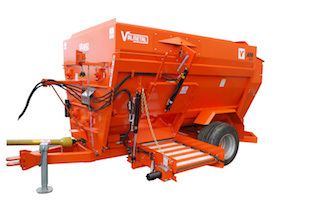 A fast and thorough mix of all commodities including big round or square bales. Thick auger flighting, thick tub walls and floor, heavy frame construction, heavy duty planetary gearbox drive. 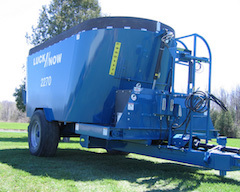 Capacity: 210 to 480 cu. 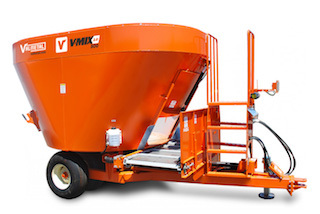 ft.
Standard hydraulic cross conveyor to feed both sides. 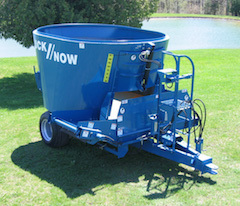 Large diameter auger with 5/8” thick flighting. Tungsten coated knives. Adjustable knives for more aggressive mixing action. Adjustable and replaceable hitch for ease of hook on various draw bar heights. Capacity: 580 to 950 cu. ft.